To claim this profile, please confirm you are Camille Morales. To follow this profile, please let us know your relationship to Camille Morales. Camille was tagged in the video "St. Francis - Senior Night Highlights." Camille was tagged in the video "Senior Night." Camille was tagged in the video "Camille Morales's highlights St. Francis." RESULTLoss Girls varsity basketball vs. SCPHS. 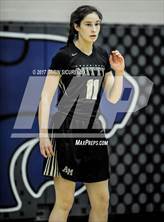 The Archbishop Mitty varsity basketball team lost Saturday's home playoff game against Salesian College Preparatory (Richmond, CA) by a score of 44-41. This game is part of the "2019 CIF State Girls Basketball Championships - Open Division " tournament. 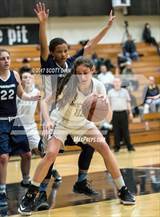 Camille had 2 photos tagged from the photo gallery "Pinewood v Archbishop Mitty (CIF CCS Open Finals)." Camille's basketball stats have been updated for the win vs. Pinewood. RESULTWin Girls varsity basketball vs. Pinewood. 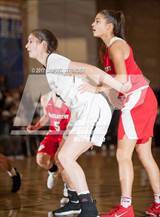 The Archbishop Mitty varsity basketball team won Friday's neutral playoff game against Pinewood (Los Altos Hills, CA) by a score of 72-51. This game is part of the "2019 CIF Central Coast Section Girls Basketball Playoffs - Open Division" tournament. Camille's basketball stats have been updated for the win vs. St. Ignatius. RESULTWin Girls varsity basketball vs. St. Ignatius. The Archbishop Mitty varsity basketball team won Wednesday's neutral playoff game against St. Ignatius (San Francisco, CA) by a score of 78-51. Camille's basketball stats have been updated for the win vs. Eastside College Prep. RESULTWin Girls varsity basketball vs. ECP. The Archbishop Mitty varsity basketball team won Friday's neutral playoff game against Eastside College Prep (East Palo Alto, CA) by a score of 83-48. Camille's basketball stats have been updated for the win vs. Saint Francis. RESULTWin Girls varsity basketball vs. Saint Francis. The Archbishop Mitty varsity basketball team won Friday's home conference game against rival school Saint Francis (Mountain View, CA) by a score of 80-23. 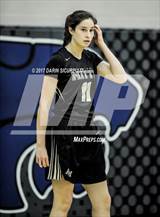 Camille's basketball stats have been updated for the win @ Sacred Heart Cathedral Preparatory. RESULTWin Girls varsity basketball @ SHCP. 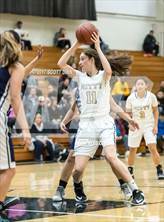 The Archbishop Mitty varsity basketball team won Tuesday's away conference game against Sacred Heart Cathedral Preparatory (San Francisco, CA) by a score of 59-33. The Archbishop Mitty varsity basketball team won Friday's home conference game against St. Ignatius (San Francisco, CA) by a score of 94-50. Camille's basketball stats have been updated for the win @ Presentation. RESULTWin Girls varsity basketball @ Presentation. The Archbishop Mitty varsity basketball team won Tuesday's away conference game against Presentation (San Jose, CA) by a score of 83-32.